Many take as fact that the current pattern of global imbalances — large and persistent trade deficits and surpluses across different parts of the world, eventually unsustainable — is due to China and the rest of East Asia consuming too little and saving too much. Since the global economy is a closed trading system, trade deficits and surpluses across all national economies must sum exactly to zero always. Therefore, that one part of the world saves too much and thereby runs trade surpluses means other parts of the world — notably the US — must be running trade deficits. However, just because deficits and surpluses are tightly inter-connected does not mean that trade surpluses in China, say, have been responsible for US trade deficits: absent further information, causality could well have flowed in the opposite direction. Moreover, China’s high savings might be dynamically welfare-optimizing for its citizens — for instance, private enterprise in China might find self-accumulation the only way to generate investment funds — and, at the same time, only minimally if at all welfare-reducing for already-rich US citizens. Finally, it might be that global imbalances should best be viewed not as a bilateral (US-China) problem but instead a multi-lateral one. Be all that as it may, many US policy-makers focusing on US trade deficits and China’s trade surpluses urge policy actions against China to rebalance the global economy. Those policy actions include punitive tariffs against Chinese imports and tagging China a currency-manipulator — and thus moving it yet further from official free-market status. Some observers remark that without such external pressure, China will find it domestically too difficult to shift away from its reliance on export promotion, infrastructure investment, and restrained consumption towards a more balanced growth path (e.g., Michael Pettis, Nouriel Roubini, Martin Wolf). 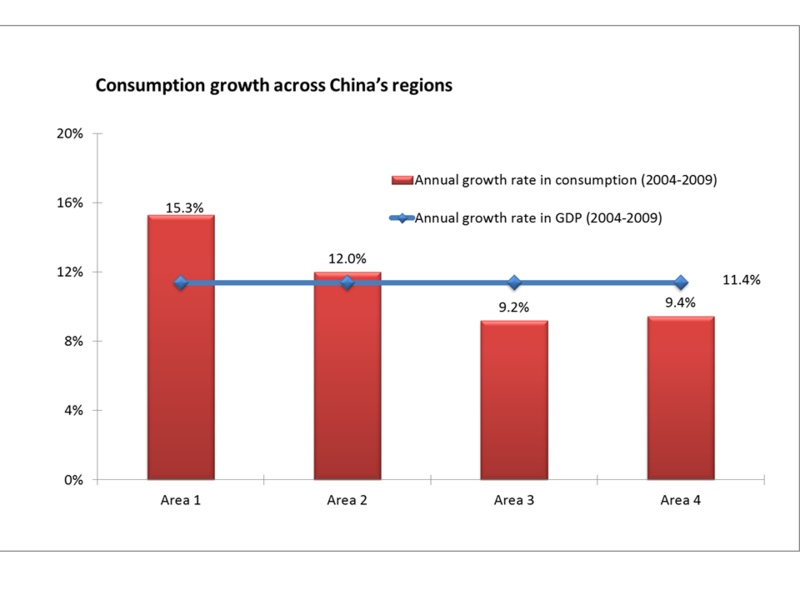 The problem: To raise China’s domestic aggregate demand, especially consumption. The difficulty: China’s consumption cannot increase quickly enough to compensate for the shortfall in aggregate demand should both investment and exports decline. The danger: a hard landing for China and the global economy. I want to suggest that such a re-direction need not be that difficult. 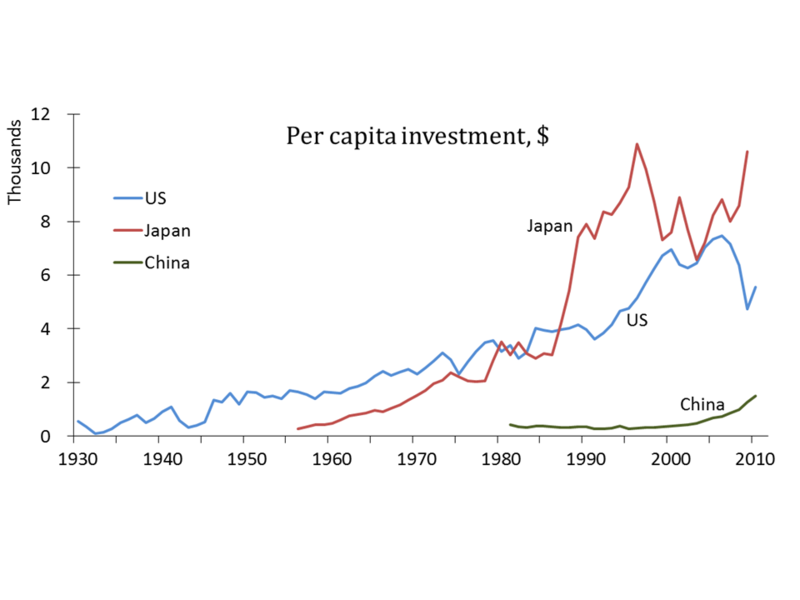 My proposal: Let China grow rich as quickly as possible. Why might this do the trick? First, consumption within China is already rising faster than both income and investment, provided that we look at those parts of China where incomes per head exceed US$8,800 (Figures 1 and 2). 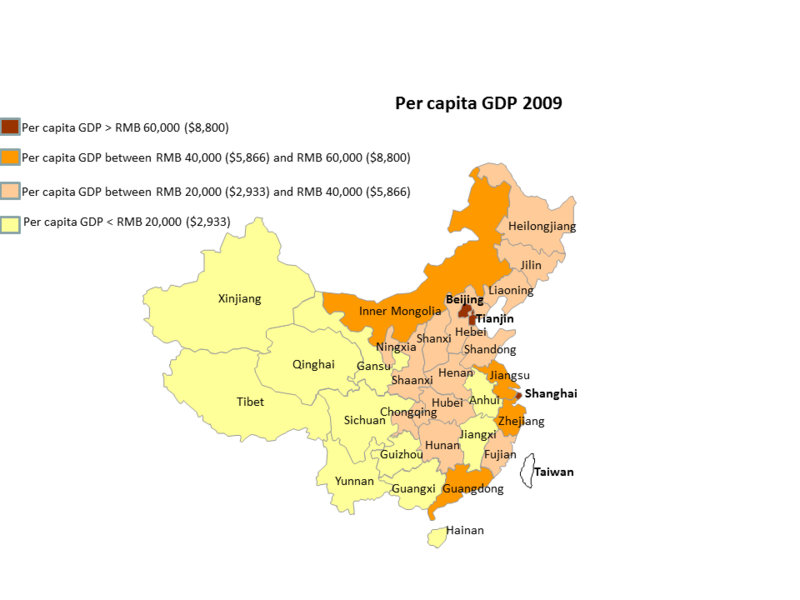 Of course, China’s current per capita income overall now is only US$2200, less than 6% that of the US. What this suggests, however, is as China’s income grows, its overall savings rate will naturally fall. The right policy is to encourage growth, not adopt punitive actions that might retard that growth. Second, as John Ross reminds us, investment too is aggregate demand. 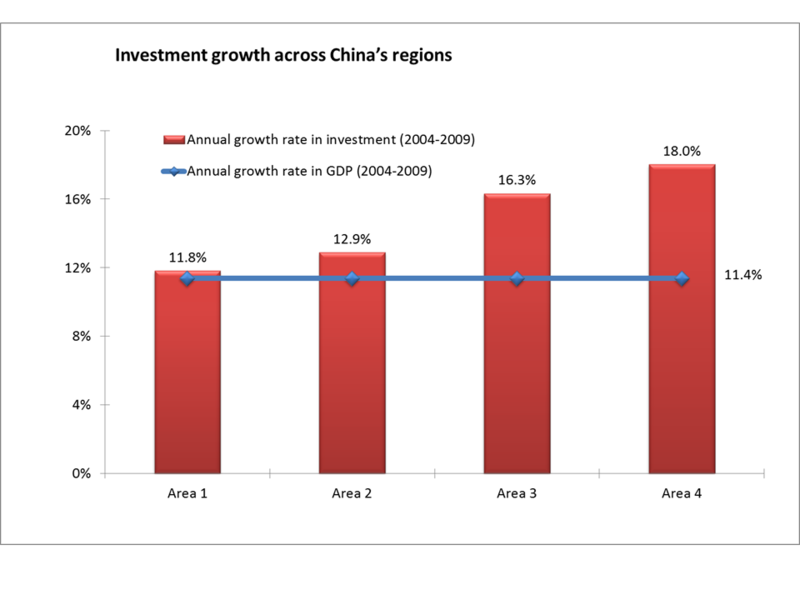 But, third, continuing to increase China’s investment in, among other things, infrastructure and transportation can help further as it allows those western, poorer regions in China (again Figure 2) better to integrate both nationally and globally, and thus become richer through raising demand and productivity. we see how China still has a long way to go on the upside. However much anyone might doubt those China statistics I used above, auxiliary evidence shows that rich Chinese consumers have no difficulty increasing consumption. The evidence I’ve described doesn’t of course say that global imbalances can be easily erased through just more economic growth in China. However, the algebraic signs of the required relations seem to me to point at least in the right direction. Careful work to quantify these effects might end up showing that their magnitudes aren’t large enough. But, as far as I know, that calibration has not been done, which makes me wonder why some observers can be so certain that China’s current growth trajectory can only exacerbate global imbalances. When China becomes rich, that will also dramatically lower inequality in the world — globally, the difference in incomes per head across nations overwhelms that across individuals within a single country. No one I know arguing for a more egalitarian society also says that that push for equality should stop at their nation’s borders and be kept from applying seamlessly across humanity’s 7 billion. An interesting point and well documented, with some truth to it. But China’s policies of promoting manufactured exports and displacing manufactured imports will not necessarily stop once it becomes rich. Japan, for example, has run a trade surplus with the US for 46 consecutive years, partly because they believe that a trade surplus in manufactured goods signifies national virtue and security. China may seek to produce a new long-term equilibrium in which it produces and exports all advanced goods while the rest of the world just supplies raw materials. It is well on its way. Also, China’s policies affect other developing countries, which want industrial development but have difficulty competing with Chinese exports. Brazil for example is very concerned about subsidized Chinese manufactured goods. Government-sponsored investment to boost your own industries is just as protectionist as tariffs, or even more so. Given that China is now running massive surpluses in manufactured goods, it would be much healthier if China would start to do more to encourage imports, not just in raw materials, and not just once it has become rich. I worry that Chinese consumers may pull back due to the collapsing real estate prices (and thus perceived shrinking of wealth). As for investment, it seems, so far to have been poorly directed. The high speed train is a perfect example. The much more important slower rail (both freight and non-freight) is in desperate need of expansion and updating; particularly for an manufacturing/exporting country. 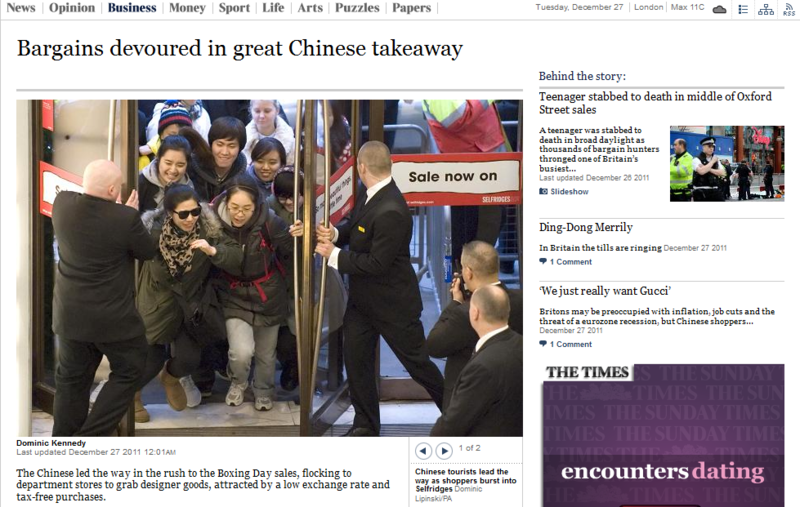 However this does not seem to have been occurring. The cliche 100 mile long traffic jams are a direct result of China’s high reliance on trucks for in-country shipping.